Does the cash-strapped small hill state of Himachal Pradesh need two Vidhan Sabhas in Shimla and Dharamshala? The question is being discussed officially for the first time- since the then Congress government in 2005 abruptly decided to hold winter session of the HP Assembly in Dharamshala and later made it an annual affair with Chief Minister Jai Ram Thakur telling party MLAs in the biggest Kangra district to sense the public mood on relevance of this ‘political decision’. “There is no denying the fact that Himachal has financial constraints. Otherwise, also, even the states bigger than Himachal don’t have two Assemblies. The decision to have an Assembly building in Himachal was taken by then Congress government in 2005 visibly to reap political benefits. Initially, it got some response, but I think thereafter, people’ haven’t shown much interest. This is true that once such a decision is taken, it can be taken up for review only with public consensus. So, I have asked the party MLAs in Kangra to discuss and seek public opinion,” Chief Minister Jai Ram Thakur said. Thakur said people have been giving ideas to use the Assembly building in Dharamshala for other purposes, but the same can be taken up only if the public is ready for reversal of decision. Kangra district, which forms part of the lower areas of HP, has 15 Assembly segments out of 68 in the state and has always been instrumental in tilting political scales in elections. The Congress government in 2005, which had suffered declining popularity in Kangra after having dropped three prominent ministers from the district to downsise cabinet, had coined the idea to have second Assembly in Dharamshala woo back people. In the first year, the then government haphazardly held the winter session of Assembly in the premises of Government College in Dharamshala. Within a year, it constructed a huge building on the outskirts of Dharamshala, while deciding to hold Monsoon sessions in Shimla, and winter session in Dharamshala every year. The ‘political move’, which saw 61 Assembly sittings in Dharamshala, has robbed the state exchequer of crores of Rupees over 12 years as entire government moves to Kangra district with bag and baggage for the winter session every year, making stay arrangements in rest houses and hotels. To no political advantage, however, for any party. In 2007 polls, the Congress went down in tally in Kangra badly and was ousted from power. The successive Bharatiya Janata Party government, which did not dare to review the decision fearing political wrath, lost the 2012 polls, due to bad performance in Kangra. This reversed in 2017, when BJP wrested power in HP with 12 seats in Kangra. Amid simmering individual dissent in political circles over two Assemblies and lack of political courage to reverse the decision, the issue of maintenance of the Assembly building near Dharamshala, which is put to effective use for few days in winter session only, too has been troubling the governments. 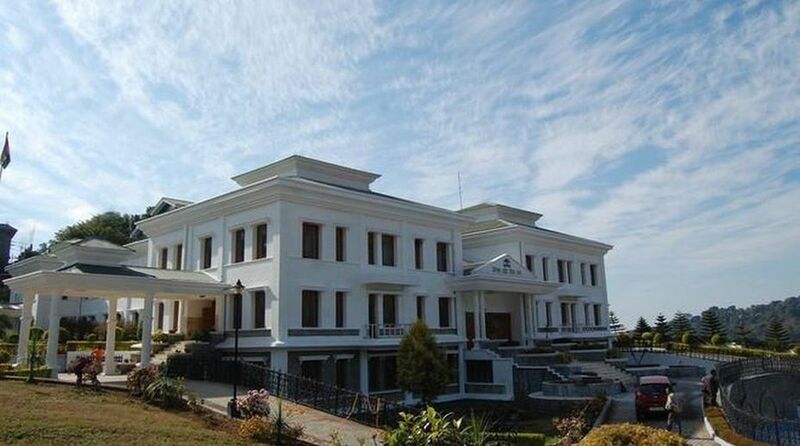 For this, however, Assembly Speaker, Dr Rajiv Bindal is pushing the case to set up National e-vidhan academy in Dharamshala so that the building can be used meaningfully for longer time. The proposal is still lying with Centre.